Detour is an energizing, four-day urban experience where youth, ages 13-14, experiment with design, flex their creative problem solving ‘muscles’ and collaborate on an urban sustainability project. Whether gaining the skills to safely navigate the city by foot and bike, or gathering locally grown ingredients preparing a meal together, Detour fosters a sense of independence and agency through a sequence of practical hands-on experiences. 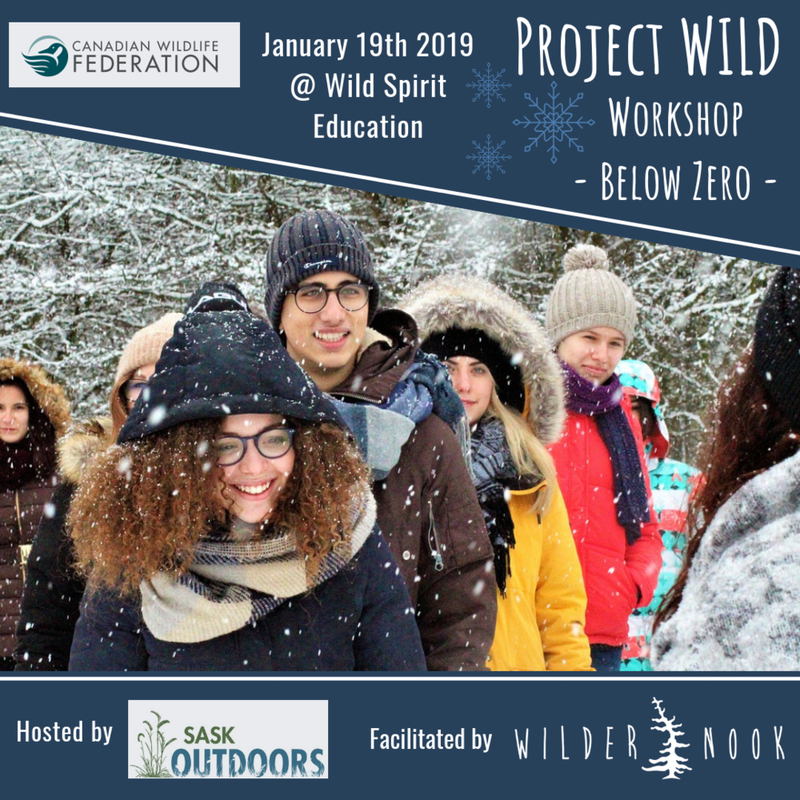 The program is co-facilitated by Shanon Dyck (BA, MES) of Green Edge Studio and Jana Miller (BED, MES) of Wildernook Fresh Air Learning and subsidized by ESSA (Environmental Studies Students Association). a gathering place for youth who have a shared concern for the wellbeing of our planet. a space for participants to actively develop environmental leadership skills such as creative design, critical thinking, collaboration, and landscape planning. an opportunity to view the city of Saskatoon as an ever evolving landscape shaped by design and popular demand. Each day will feature a different theme and set of locations. Participants can expect to be outdoors for at least half of the day and engaged in active transportation between locations. Drop off and pick-up locations (e.g. River Landing or University of Saskatchewan) will be communicated in the Parent and Participant Handbook. Times: We will meet each morning between 8:45 a.m. and 9:00 a.m. , enjoy bagged lunch time together at noon and wrap up at 4:00p.m. each day. Cost: The program cost of $180.00* ($45.00/day) includes learning materials, mentorship from qualified outdoor and environmental educators and an insider look at examples of sustainable design in Saskatoon. Participants must provide their own lunch, snacks, bike, helmet and lock. Requirements: Participants need to have or borrow a bike, lock, helmet and ran gear. This is an active program and participants should be. able to ride a bike and walk for 60 minutes. Registration: Thank-you for your patience. We will be accepting registrations shortly. *Note the program cost is subsidized by a generous donation from ESSA (Environmental Education Students Association). be adapted for any age, grade or subject. Is Nature Playcare the right fit for my/our child? The suggested age for Nature Playcare is 3-4 years; we also suggest that each child is able to communicate a need to go to the bathroom. Please contact jana@wildernook.com if you have any questions about clothing or other requirements. There will be a parent meeting before the first session. The time of this meeting will be selected based on the group’s availability. 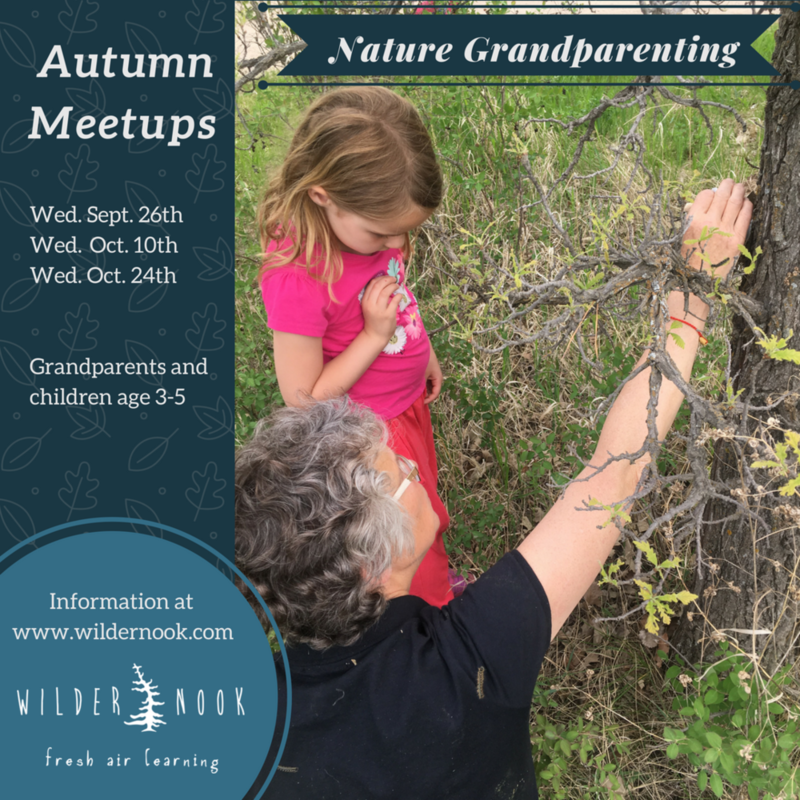 Witness seasonal changes in nature with your grandchild this fall. The Nature Grandparenting program is designed for grandparents to experience nature with their 3-5 year old grandchild. Many grandparents are in an ideal position to act as a nature mentor in the lives of their grandchildren. With practical ideas and age-appropriate activities shared each week, grandparents will have fun weaving a connection to nature into the special relationship they have with their grandchild. This is program is hosted by SaskOutdoors and faciltated by Wildernook Fresh Air Learning. Participants: Grandparent and grandchild (ages 3-5) pairs. Group size will be capped at 8 pairs to maintain a quality experience. Dates:Tuesday Mornings, September 5th - October 10th 9:30 - 10:40 a.m. A potential second group would meet on the same day from 11:00 a.m. - 12:10 p.m. Cost: SaskOutdoors Members: $65.00/pair Non-Members: $80.00/pair. We look forward to sharing autumn with you and your grandchild!